Expand your imagination and let your creativity blossom with the Baby Lock Flourish. 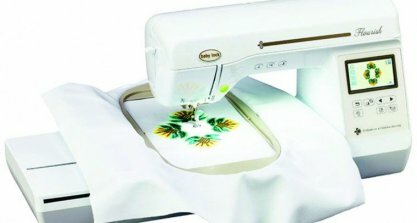 This embroidery machine includes many user-friendly features so you can get started right away. The Flourish even makes it easy to customize every project. Thanks to Baby Lock IQ Technology, you do all your editing on the LCD Touch Screen. Rotate, resize, merge and more directly on screen. 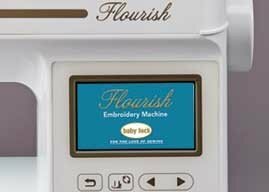 With the Flourish, you can also edit embroidery fonts just like other designs. 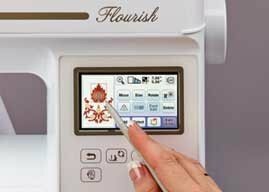 These features and more in the Baby Lock Flourish will help your embroidery skills thrive. Access your designs, settings and more with a quick touch. 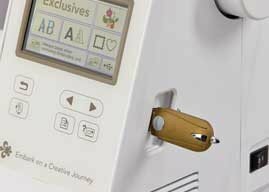 The color LCD touch screen shows every design in detail. 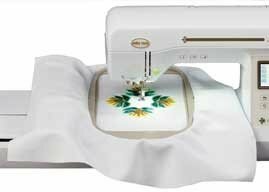 Stitch bigger embroidery designs and enjoy less re-hooping with a large embroidery field – 6 1/4″ x 10 1/4″. 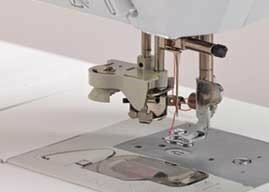 Make changes to your embroidery directly on screen. Resize, rotate and move the design as needed to customize every project. Personalize your projects with lettering. Choose from 13 built-in fonts and edit them like other designs. 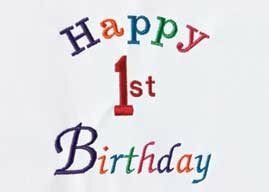 Make changes to entire words or even individual letters. 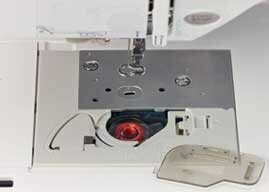 When you’re ready to embroider, simply drop a bobbin in and go. Follow the path and press a lever. That’s all it takes to thread the Flourish. Easily save and access designs using your USB flash drive. USB connectivity also makes it easy to update your machine with the latest software.